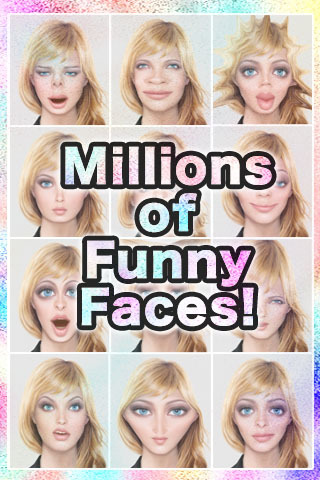 MillionFace takes a single portrait photo and transforms it into over a million face variations in an interactive 3D movie. 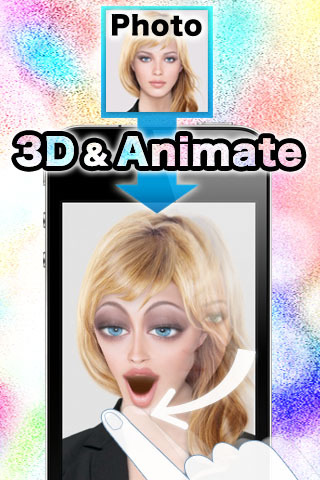 Simply tap the screen to see your face distort and transform from one funny face to another. The eyes, nose, mouth, and the face shape will change smoothly to let you make faces that you never imagined to! You can make the face turn by dragging it side to side, and shake the device to make your face turn back to the original picture. You can share your funny videos via email, YouTube and Facebook, and upload images to Twitter/Facebook.